This island beach home offers all the luxury, warmth and charm needed to enjoy our wonderful island. 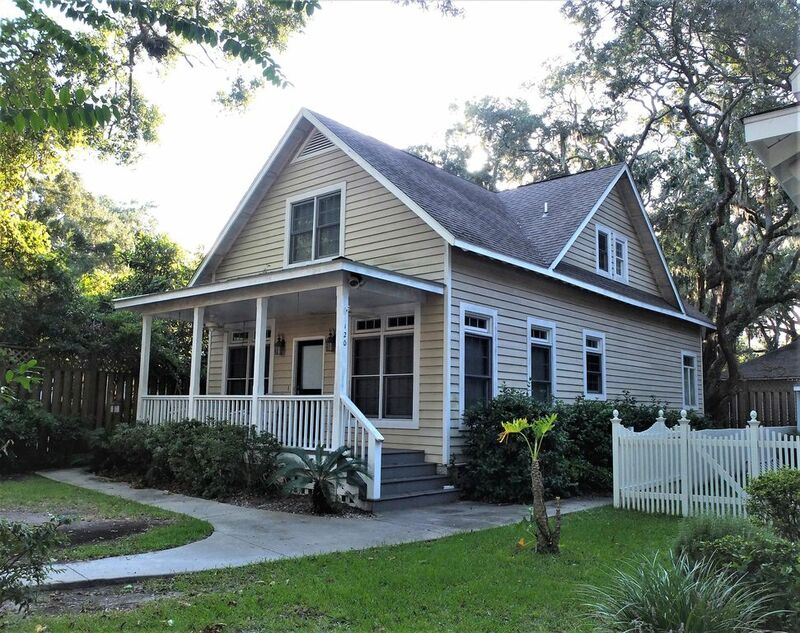 Located in the desirable village area, it is less than three blocks from the ocean, lighthouse, pier, Neptune Park Pool, St. Simons Park, and village shops, playgrounds and restaurants. All of your vacation activities are just a short stroll away. Tastefully decorated to accentuate all of the builders upgrades, this is our home away from home. There is a plush king, plush queen, two singles, and a fold-out couch to accommodate up to seven sleeping guests. Each bedroom has its own private bathroom with shower, and the downstairs master also has an oversized tub. We even have Wi-Fi access so you can stay connected to the real world if you have to. We hope you enjoy all of the little things we have provided so that adults and families can enjoy it as much as we do. For those who have never been to St. Simons, it is the most peaceful beach destination there is. It is not commercialized, and very relaxing. Historic sites, village shopping, a lighthouse, fishing from the pier for fishermen and site seers alike, and many restaurants all within walking distance of our home. There are several beautiful public and private golf courses on the island. For those who want to enjoy the ocean acitivities or intercoastal waterway; swimming, boating, charter fishing and kayaking are all near by. Complete with everything needed to enjoy a few weeks on the island, or just an extended weekend getaway, our place is perfect for family or couples. We're sure you will love it! If you are traveling within two weeks and we are available, we would be happy to discuss a last minute discount. Bike Rentals are within a very short walk, there are multiple public and private Golf Courses, Fishing can be done from the beach, pier, or local charter boat, Local Kayac Rentals, Ocean Swimming,Tennis Courts and a wonderful island park are within short walking distance. St. Simons Public Pool just 2 blocks away.